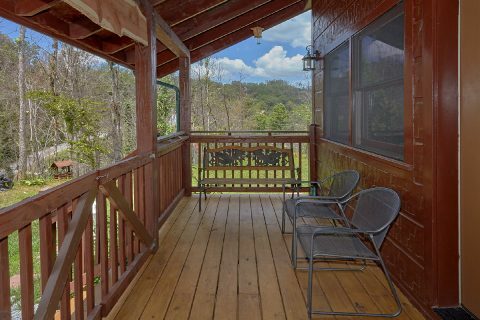 Nestled in the mountains near Gatlinburg, you'll find "Charming Charlie's Cabin!" 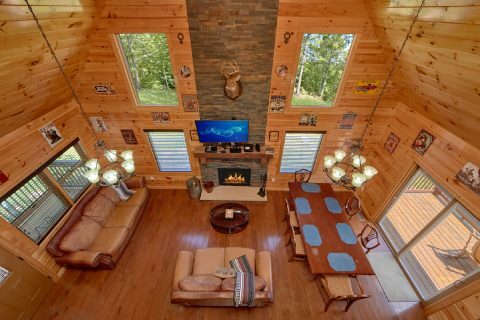 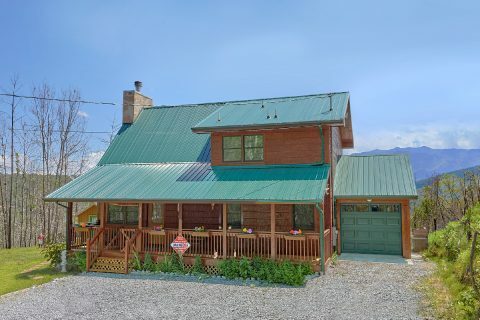 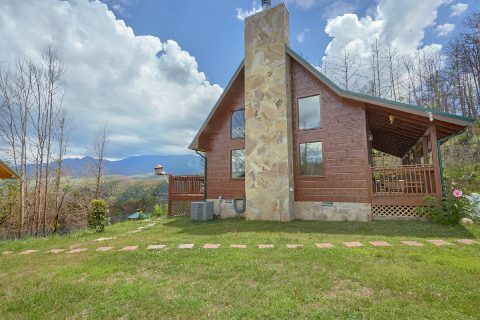 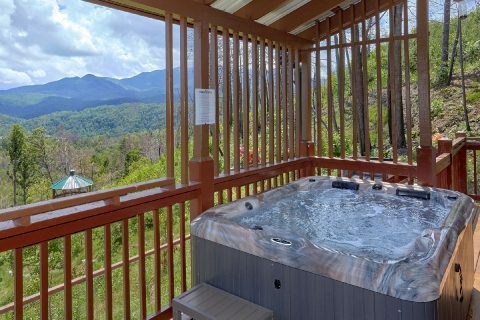 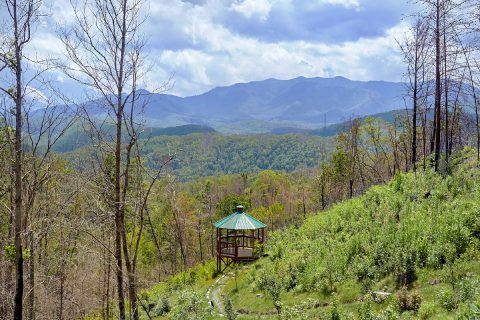 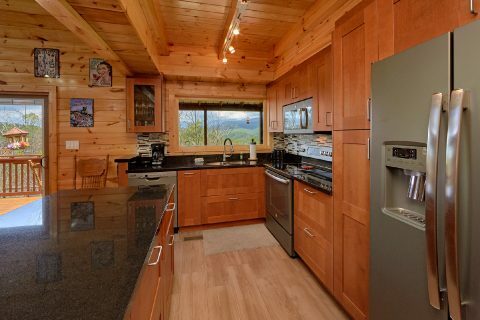 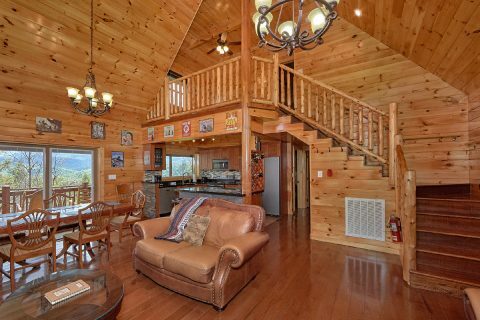 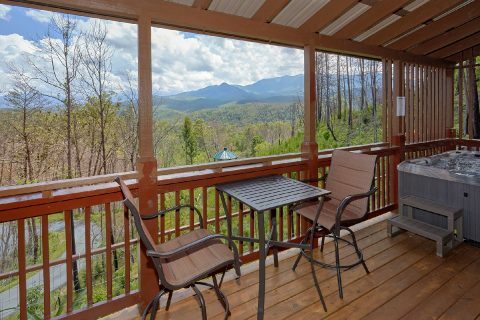 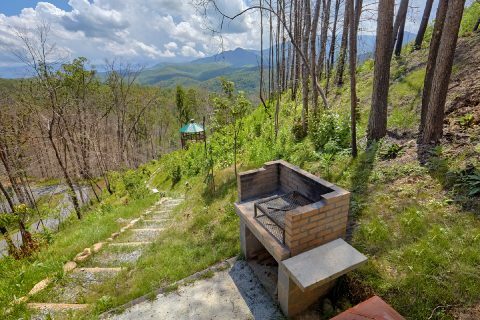 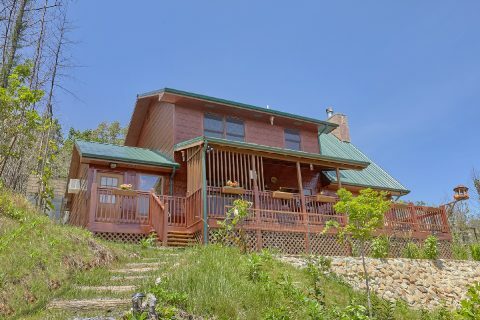 This luxury 2 bedroom cabin rental boasts a beautiful view of the Smoky Mountains and a prime location that's only minutes away from top attractions! 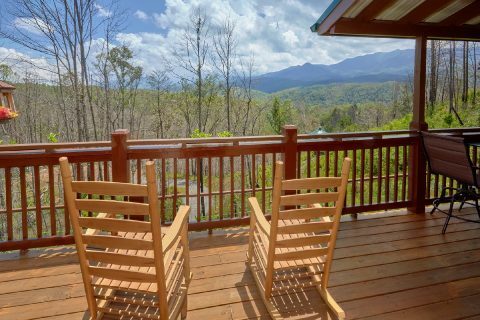 Since this cabin is only 2 miles from Downtown Gatlinburg, you can explore excellent attractions like Ripley's Aquarium of the Smokies, The Village Shops, and Anakeesta Gatlinburg. 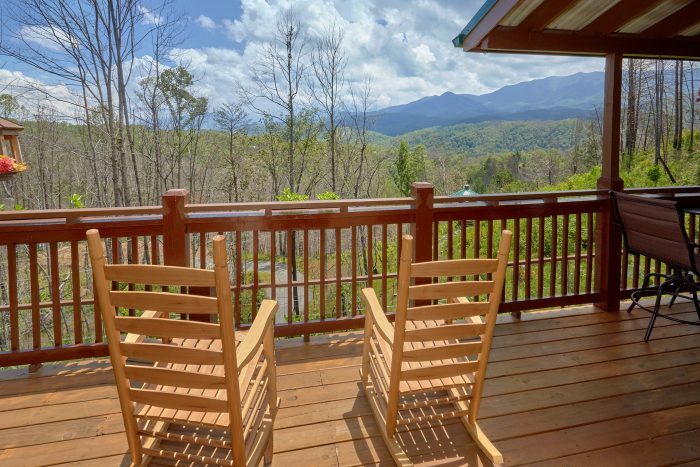 If you plan on exploring the Great Smoky Mountains National Park, this rental is also convenient for reaching several entrances to the national park including the Sugarlands entrance, the Cherokee Orchard entrance, and the Greenbrier entrance. 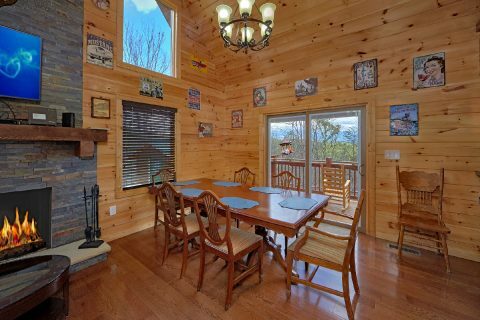 After a great day exploring the mountains, you'll love returning to this luxury cabin with an impressive mountain view. 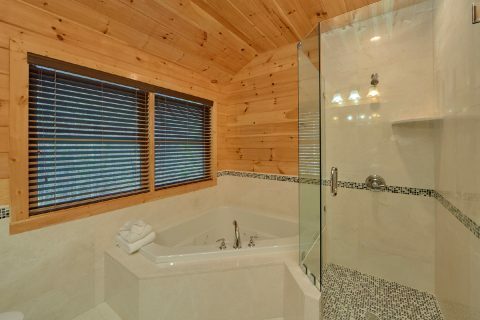 Be sure to spend some time unwinding on the cabin's deck while you sit back in the outdoor hot tub. 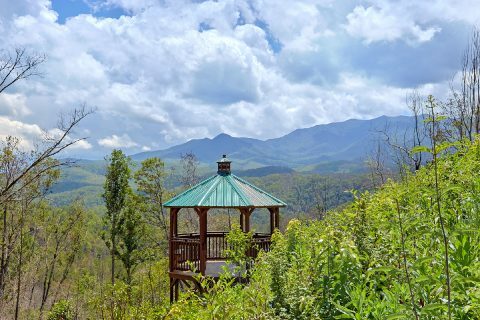 Your cabin also offers a gazebo in the yard with more beautiful scenery. 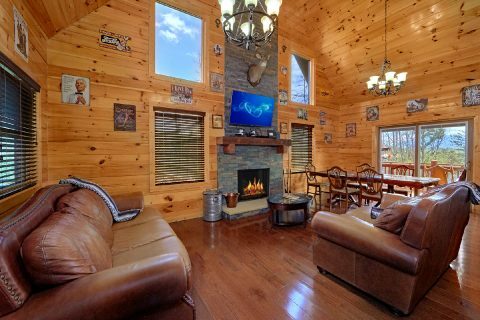 For some quality time with the people who matter most, gather around the warmth of the wood burning fireplace in the living area. 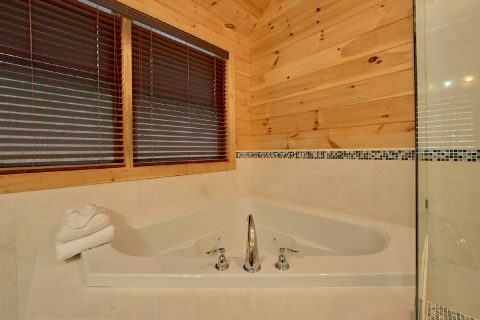 To relax in privacy, you can always take a dip in your cabin's private jacuzzi tub. 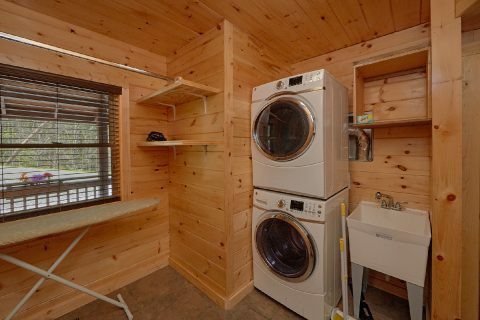 "Charming Charlie's Cabin" also comes complete with useful features like a fully-equipped kitchen, a charcoal brick grill, WiFi Internet, and a washer & dryer. 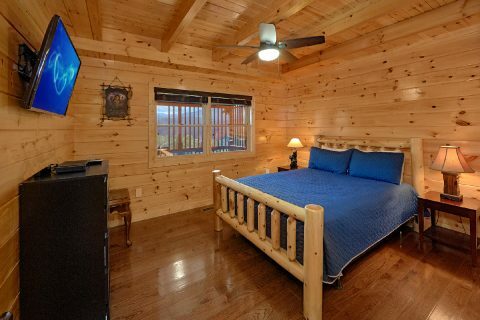 Once you're ready to get some rest before your next day of adventure in the Smokies, you can look forward to sleeping in this cabin's private king-size bedroom or the queen-size bedroom. 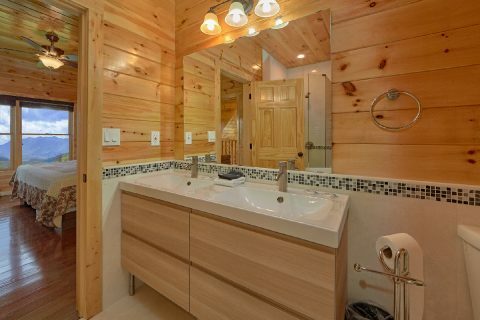 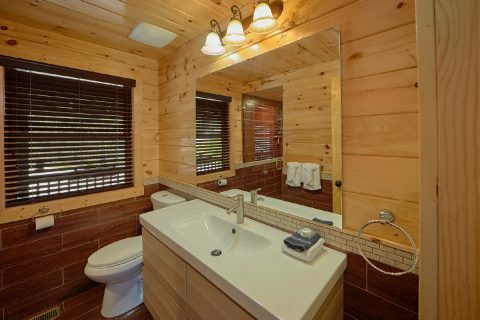 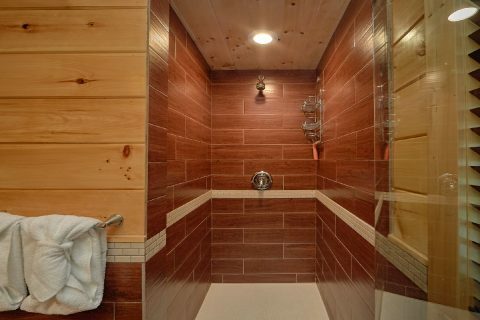 Both of this cabin's modern-styled bathrooms come complete with custom-styled showers. 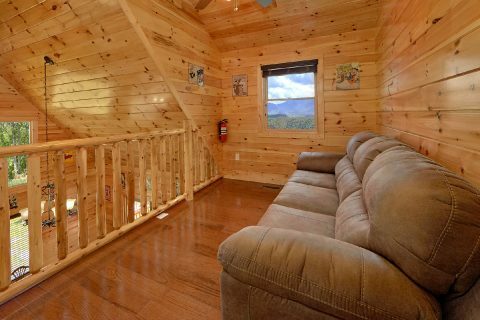 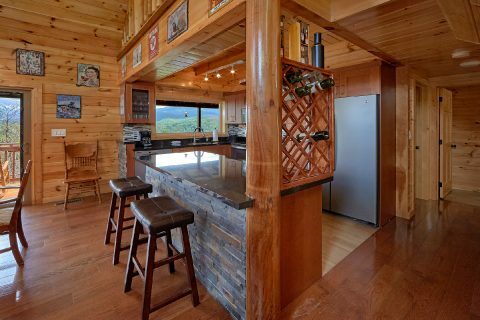 With a sleeper sofa in the loft, this 2 bedroom cabin can sleep up to 6 guests in comfort, so it's just the right size for a family getaway or a weekend in Gatlinburg with friends. 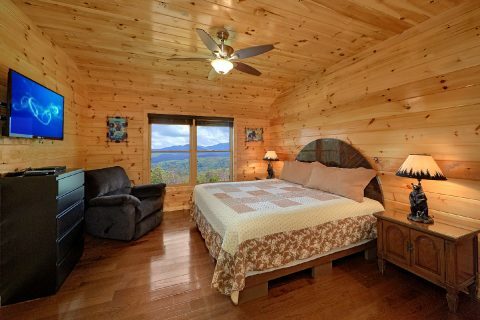 Book this beautiful cabin with an unforgettable view today to save 15% on your nightly rate with Cabins USA!